Headwaters School would like to announce Prom 2019, a Garden Party evening of fun! When: Thursday, April 18 from 8-11 p.m.
Who: All Headwaters High School students are invited to attend this event, and guests are welcome with a request form. All guest names must be indicated on the ticket purchase form and families must fill out this Guest Request Form for Dances with signatures from Headwaters parent/guardian and the parent/guardian of the guest. Please note, a student wishing to bring a guest from outside our community to any Headwaters School dance must have this form completed and turned in to the front desk at least 48 hours in advance of the dance. Needed: Parental support for day-of set-up (12-5 p.m.) and clean-up (11p.m.-12 a.m.). Parents, please reply to this email if you are able to help with either of these needs. 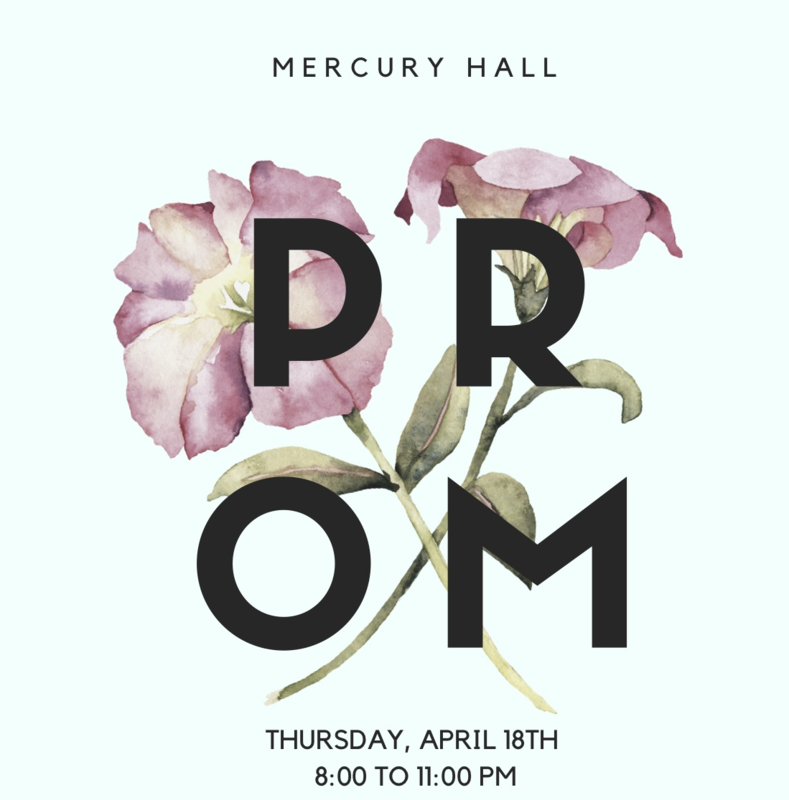 Philanthropy: The prom committee is hoping to raise funds for Headwaters tuition assistance program. We encourage families, who are able, to add an extra $5 donation to their ticket purchase to help aid students who otherwise would not be able to afford to attend Headwaters School. It will be a wonderful night filled with dancing, and, as usual, a fab photo booth. This is a semi-formal event, so look fancy! Tickets are $45 each and non-refundable. Purchase here tickets online ONLY at this link.